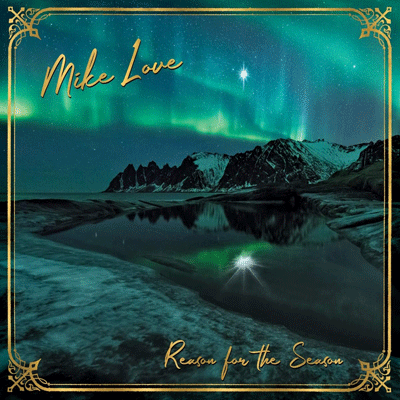 Los Angeles, California — September 20, 2018 — Mike Love, legendary Rock and Roll Hall of Fame member and co-founder/lead singer of The Beach Boys, will release a new collection of holiday songs Reason for the Season, via BMG on October 26th (CD/digital formats). The album will also be available on special festive vinyl on November 2nd. The 12-track album features an array of new holiday songs and Christmas classics that range from bright guitar and horn-filled pop and rock and tracks, and softer traditional carols and ballads. Sam Hollander (One Direction, Panic! at the Disco, Train) and Steve Greenberg (Hanson, AJR) produced five tracks on the album including the jubilant title track and the buoyant anthems “It Must Be Christmas” and “Finally It's Christmas” featuring Hanson. This marks Love's second recording with Hanson as they collaborated on the summer single “It's OK” released in August 2018. Hanson famously recorded a version of Beach Boys classic “Little St. Nick” for their 1997 Christmas album, Snowed In. To support the album, Beach Boys Mike Love and Bruce Johnston are embarking on a 22-city holiday tour which kicks off in Chattanooga on November 16th. Tour dates.